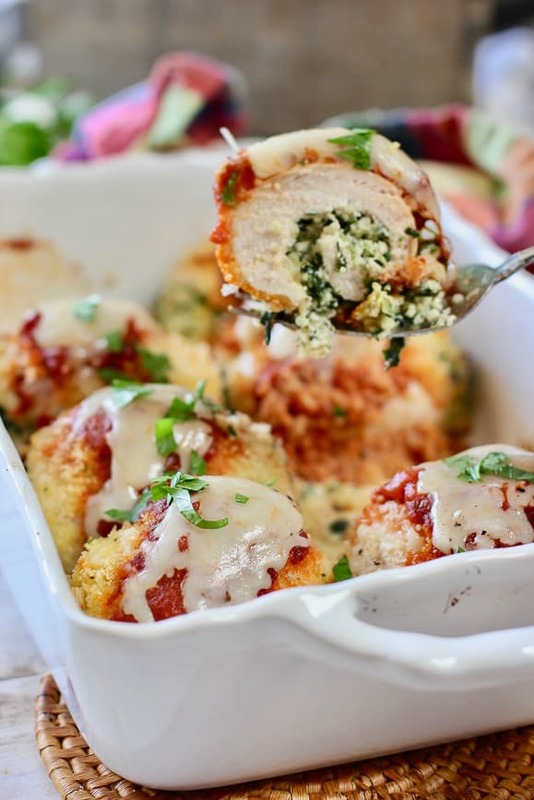 Chicken Rollatini – Baked chicken breast cutlets stuffed with ricotta and spinach, rolled in panko crumbs and topped with marinara and fresh mozzarella. Make 4 or 40. You can never have enough easy chicken recipes! 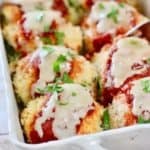 We posted this recipe several years ago and we are excited to update it! Didn’t change the recipe much, just added some helpful step by step photo’s for you so you can see how truly easy this recipes is! 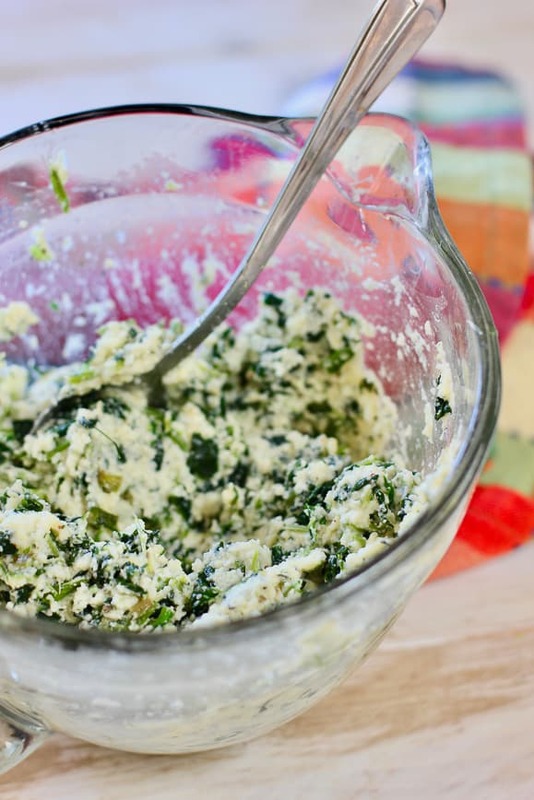 First whip up this quick mixture of ricotta and spinach. Frozen spinach and store bought ricotta make this a breeze! Now comes the fun part! 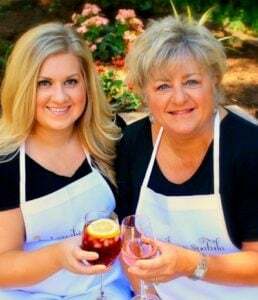 Take a slurp of wine before you get started….your gonna get your hands messy! We stuff and roll all the chicken before starting the egg and breadcrumb process…it makes everything go so fast! We love panko crumbs because they brown so quickly as well as the crunch texture, but regular bread crumbs will work just fine. Chicken + ricotta + egg + bread crumbs = YUM! 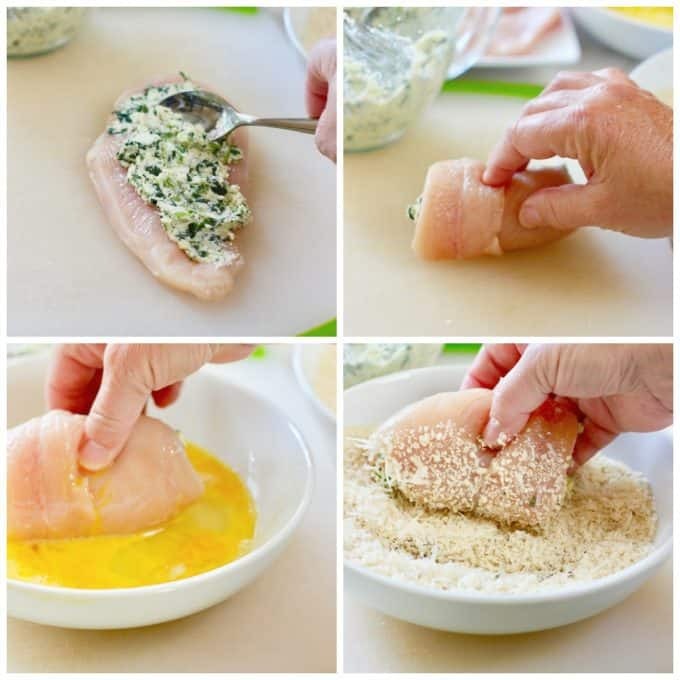 Place the stuffed and breaded chicken into a baking dish. Bake for about 25-30 minutes. Check with a meat thermometer. If they are at 165 degrees in the center, they are done! Top with a bit of store bought marinara. Avoid the meat or mushroom flavored varieties if possible. Basic Marinara has just enough flavor to compliment the ricotta without overpowering or being to salty. And thats it! You have just conquered another easy chicken recipe to add to your meal planning. 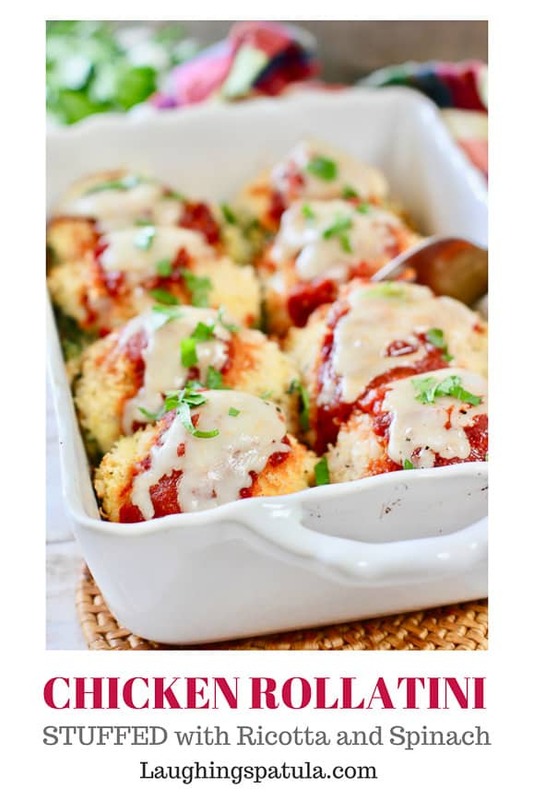 This recipe is a great for leftovers! Make as many as you can and enjoy them the next night. With just the two of us here, I always have leftovers and we love to share. This one went to our sweet neighbors across the street who don’t cook so much these days. 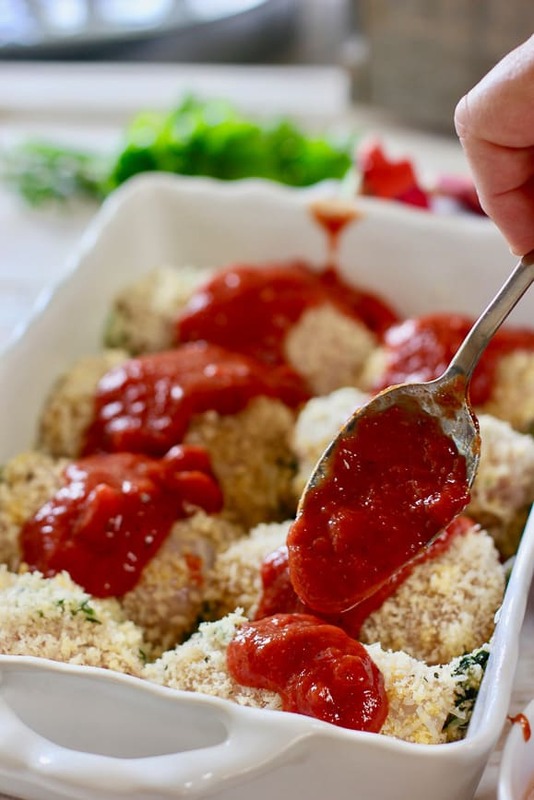 Serve with additional marinara and a simple salad or steamed veggie. Maybe a little garlic bread if your feeling all carby and stuff :). We have almost 100 Chicken Recipes that are fast, fresh and full of flavor. You can see them all HERE! To Chicken and all you do for us! 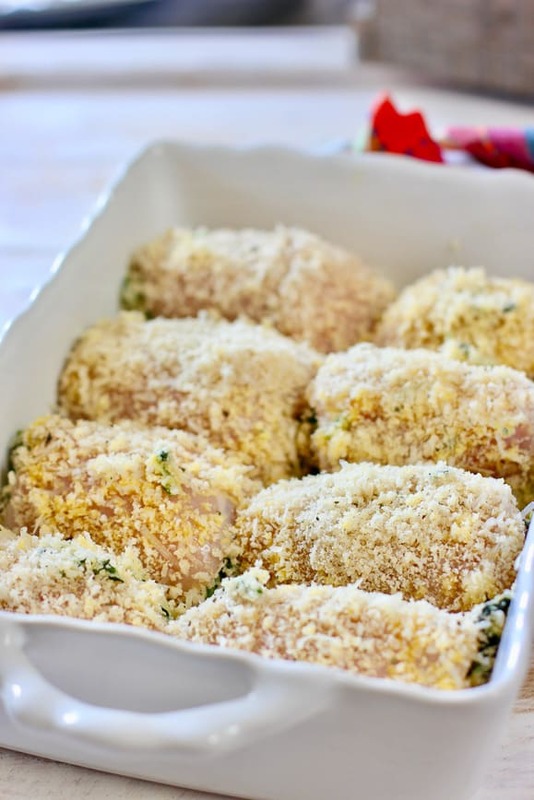 Chicken cutlets stuffed with ricotta and spinach and rolled in panko crumbs. Make 4 or 40! Preheat oven to 425°. Lightly spray a baking dish with non-stick spray. In a medium bowl, combine ricotta, thawed and squeeze dried spinach, 1/3 cup grated parmesan, one egg, salt, pepper and nutmeg. Set aside. 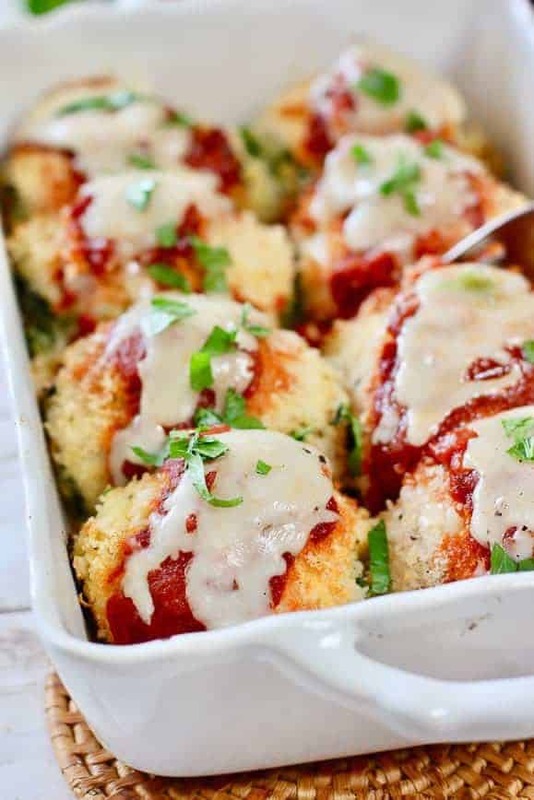 In another bowl, combine bread crumbs, italian seasoning, remaining 1/3 cup parmesan, salt and pepper. In third bowl, scramble two eggs. Lay chicken cutlets down on a working surface and spread 2 tbsp of spinach-cheese mixture on each cutlet. Loosely roll up and set aside until all chicken cutlets are stuffed and rolled. Bake 25-30 minutes. Using a meat thermometer check for doneness. When temp reaches 165 they are done! 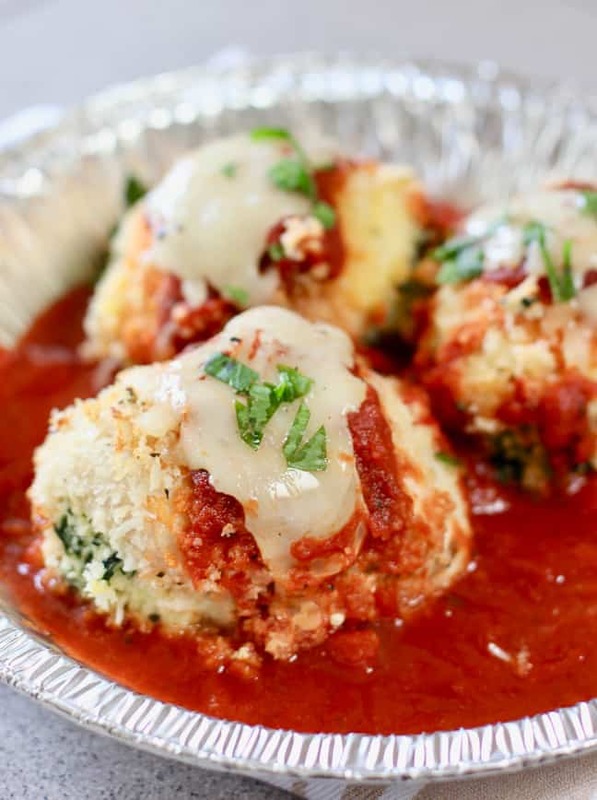 Remove from oven, top with marinara sauce and fresh mozzarella cheese. Bake an additional 5 minutes until cheese is melted. Serve with additional sauce on the side. I made this last night with turkey cutlets and GF panko bread crumbs. Very yummy. Turkey cutlets didn’t lend themselves to rolling as well as chicken does, so they looked messy but tasted great. Next time I will use regular GF breadcrumbs. Thanks for the recipe!! Yes and yes! Sun-dried tomatoes would be delicious! Let it sit out for 15 minutes before baking to warm up a tick. What is a good side for this? I was thinking about some pasta but unsure. Any recommendations? For me I’d just do steamed broccoli and keep it simple but if you want a carb I think rice or a simple olive oil and garlic pasta would be perfect! I made this for my family last night and my kids (ages 15 and 11) loved it! A new favorite at our house, I think. Love how easy it is, and I was able to convert to gluten-free by using GF Panko breadcrumbs. When I first made this, my family was unsure. They never heard of it. They loved it. This is my daughters favorite now, I’ve had to make it several times for her. Thank you Pamela! I am so glad you and your family liked it! freeze for kater use? Would I need to thaw before proceeding?? Many thanks! I want to make this recipe this weekend for 10 people. I did not see how many this serves. Is it 4 or 8 people? Hi Carolyn – One cutlet equals one serving. My recipe is for 8. (Sorry it wasn’t on there, when I moved sites some of the info didn’t make it over!). Personally I think one cutlet per person but you should plan for two just in case you have some big eaters. I’d double the recipe and make 20 cutlets for 10 people or at least 15. The worst thing that could happen is left overs! I’m so glad! Those are the words a food blogger loves to hear!